The standard measurement for a bare cable is usually done at room temperature and conditions (25C), and a surface temperature of about 85C. When insulated, the conductor carries less current to maintain the same surface temperature. This is because electrical insulation acts as a thermal insulator; the more layers of insulation, sheathing and armoring you add, the lower the current. The thermal insulating properties of a cable depend on the properties of the sheathing and insulation materials, resulting in varied melting and deterioration properties. Similar to the insulating material, the immediate surrounding significantly influences the cable current rating. Cables laid out in racks, underground, undersea or in close quarters experience thermal insulation compared to a cable in the air. In a similar vein, grouped cables carry less current than single core cables due to the combined thermal insulation. 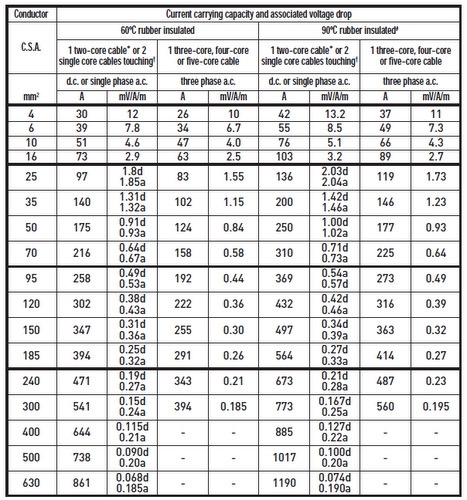 To accommodate the above factors, manufacturers need to consider the cable application and placement for optimal performance before tabling the ratings. For the engineer, lean more towards international standards for the ideal rating that fits your project requirements. The primary purpose of cables for LV and MV use is the power supply to loads such as generators and motors. These loads usually have a nameplate from the manufacturer indicating the rated power, voltage, current and power factor. In cases where the load current is missing, the engineer can always calculate from the other factors such as efficiency. However, it gets increasingly complicated to decipher a continuous current from the main supply to the incoming transformer or switchboard. Additionally, individual loads usually deviate from the values indicated on the nameplate due to different power factors and other external factors. However, one can still calculate the load current using the continuous loads, intermittent loads and standby loads for the active and reactive power. From the calculations, the engineer can then source the cable based on the known loads, as well as project expansion forecasts. The end consumer marks the termination of a series of electrical and power systems components from the primary supply. Over the course of transmission, voltage drops occur. Thus the voltage at the last terminal may not necessarily be the amount indicated by the supplier. 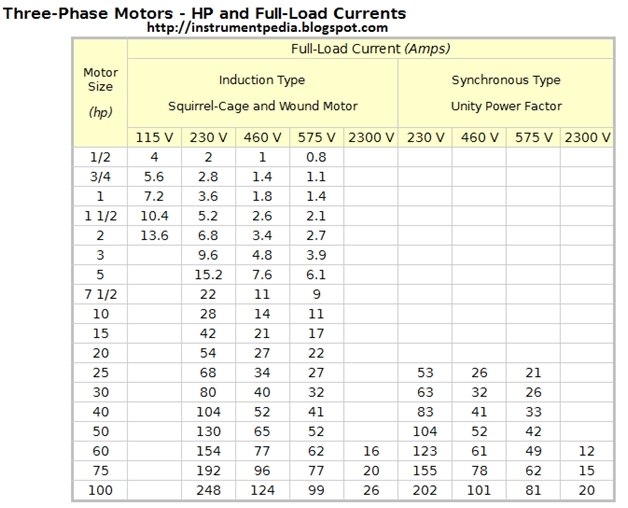 Most end users assume a lower than nominal voltage under fully loaded conditions. The nominal voltage is further complicated for plants that require frequent automatic motor reacceleration, as this draws significantly on the busbar voltage. A short duration, 10% voltage drop at the busbar (for several seconds), followed by 80% nameplate value at the load should be enough to sustain a Medium Voltage system. However, this presents a strain on the feeder cables between the two components, especially in areas that require long cables. The engineer requires calculating series resistance and series inductive reactance so as to make up for the losses, and optimize the cable size. Emergency control: emergency power supply and control require cables to function for as long as possible to allow time to remedy the situation and safe evacuation procedures. Ampacity refers to the amount of current that a cable can carry continuously. The key highlight is ‘safely carry’, as exceeding the rating leads to overheating, and eventual failure. With this in mind exercise due caution in the selection and procurement. Do you have more knowledge to share with us on power cables? Post your comment below! or copy this trackback: http://engineering.electrical-equipment.org/power-quality/factors-that-determine-the-current-rating-of-power-cables.html/trackback from your own site.